Home » Tech News » New Version of Android on the Horizon? Android is one of the only operating systems out there that introduces updates faster than tech companies can keep up. Would you believe that a majority of the market is still running Android 2.3 Gingerbread when Android 4.0 and Android 4.1 have already been released at different times? While that may be true, it gives everyone with an Android phone something to look forward to, especially when a new version of Android often means your phone or tablet will feel like a brand-new device. Android 4.1 Jellybean, Google’s best and newest version of the operating system, came out just a couple of months ago. But would you believe that another version of Android may be just around the corner? The reason for this speculation is due to the fact that Google releases a new Nexus device every year, and we haven’t yet seen a new Nexus device hit the market. With rumors swirling about, we’re almost positive that a Nexus device will come out in November or early December. We found out a few months back that Google has once again asked Samsung to create its flagship brand, and it’s almost a definite that the two were in the works to build this phone long before that. Despite Google’s acquisition of Motorola, which is a company that produced many quality devices, it probably did not want to leave a sour taste in its partners’ mouths. If Google went with Motorola, Samsung and a slew of other top companies would surely be annoyed with Google, mainly because it’s kind of unfair. Sure, Google owns Android and is free do as it pleases, but Android has been open-source for as long as anyone can remember. Open-source means it’s open to the public, which also means that it’s free to be used by anyone who feels like using it. If Google went with Motorola, some of that freedom would be negated. 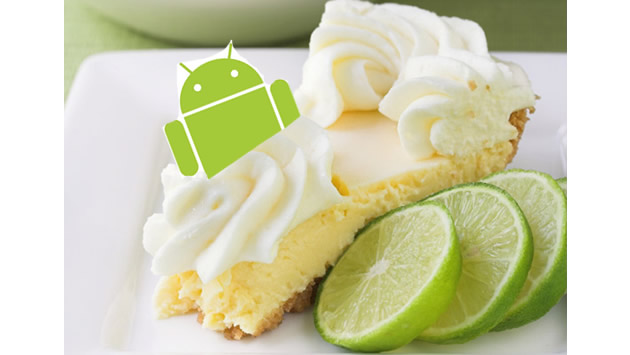 What can we expect from Key Lime Pie? Well, there’s a strong possibility that we’ll see Android 5.0 come out. We’re also expecting it to be faster, smoother, and have overall better functionality. In addition, there will most likely be a new layout and new design elements. That’s enough to get me excited. That’s for sure. Joe Petchonka loves writing about the latest tech and gadgets, but he also loves helping New York Toyota dealerships with their online classifieds.